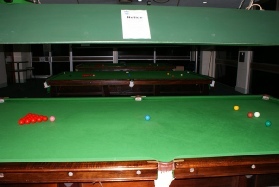 The Ashford Club has 2 full size snooker tables which are regularly cleaned and maintained to ensure they are kept in top condition. 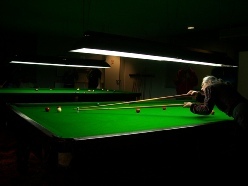 Any visitor to the club can play snooker. Every table has it's own intercom linked to the bar, you can get your refreshments delivered to your table so your game never needs to be interrupted. The Ashford Club snooker team have performed brilliantly in the past seasons winning the Bunny Telling Cup. 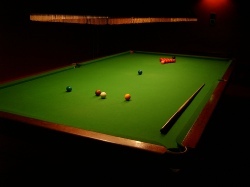 We currently have a vacancy for a snooker team. Members of the teams receive free practice on Sundays, so if you enjoy snooker and want to take part in competitive matches why not start up your own team and have the full support of The Ashford Club.